What: The first episode of the new Twilight Zone reboot, entitled “The Comedian,” which is available for free on YouTube. Why we care: Several of the new episodes of Peele’s revamped Twilight Zone, which debuted on Monday on CBS All Access, are straight-up remakes, like the Adam Scott-starring “Nightmare at 30,000 Feet,” which memorably featured John Lithgow and an air-gremlin in the original. However, “The Comedian,” starring Kumail Nanjiani, is a brand-new creation. 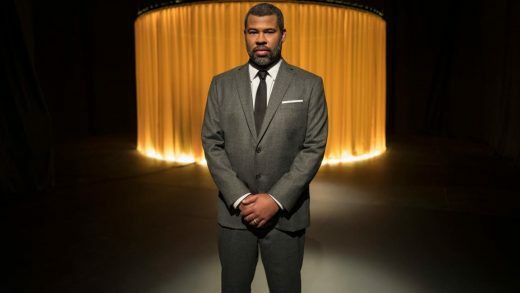 Although it shares the classic Twilight Zone thread of a mysterious stranger (here, Tracy Morgan) offering a Faustian bargain, the new episode is an ideal showcase for the fresh tone of Peele’s interpretation. Nanjiani plays a struggling stand-up whose material about gun rights would probably kill on Twitter, but which lands on his live audience with a dull thud. Once Morgan’s character offers him some career advice laced with bad juju, though, Nanjiani wrings out laughs by sacrificing elements of his personal life. It’s a chilling representation of the formula for creative success, and a smart choice for CBS to offer up as a free appetizer platter. You can watch “The Comedian” here, and watch a trailer for the rest of the series below.